Scotland is brilliant, from its bright and lively cities to its wild countryside. We love the arts and culture of Glasgow and Edinburgh, the challenges of the Munros and the endless beauty of the Scottish coastline. Find yourself a large house to rent with exclusive use for your party. Many are perfectly suited to weddings or large events. 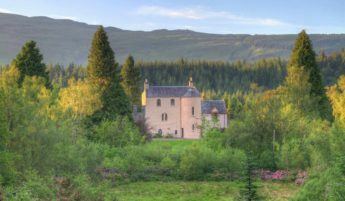 For example, Assynt House is near Inverness (and its airport), and is particularly suited to intimate family weddings. It can seat up to 50 people for a wedding breakfast and welcome up to 150 for a wedding ceilidh. For somewhere larger, why not try the magnificent Springkell? Or perhaps the Ormidale Estate if you’d like an indoor pool?